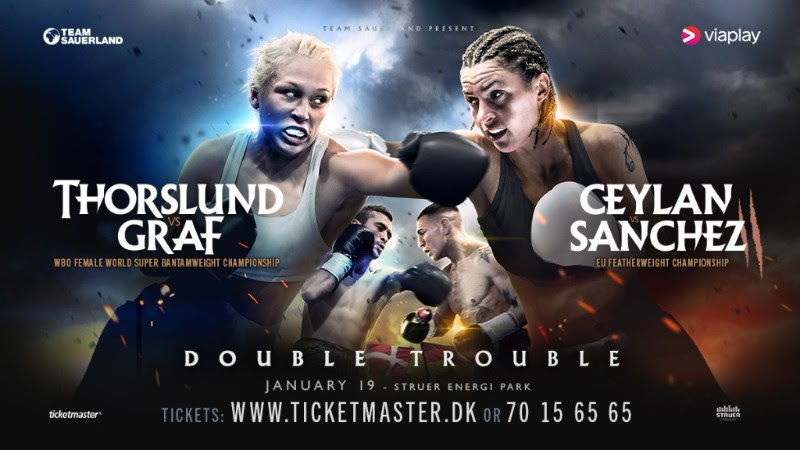 Oliver Flodin (4-0) and Abdul Khattab (15-2-1, 4 KOs) are set for a Scandinavian showdown on the undercard of Dina Thorslund’s WBO Female World Super Bantamweight title defence against Alesia Graf on January 19 at the Struer Energi Park in Denmark. Khattab, from Copenhagen, returns to the ring for the first time following his draw with Ronny Mittag on October 27, 2017 at the Sport and Congress Centre in Schwerin, and the 25 year-old is eager to prove he still has more to give in the professional ranks, starting with a victory over his Swedish rival Flodin. “I’ve been keeping myself in top shape and waiting for the right opportunity,” says Khattab, who is trained by Danish boxing legend Mikkel Kessler. “That opportunity is here now, and I’m looking forward to a great fight on January 19. “Of course, there is always something extra when a Danish fighter meets a Swede. It gives me even more motivation, and I’m sure it will make for a great atmosphere. I have no doubt that my hand will be raised after the final bell. “I’ve seen some of Flodin’s fights. He is a good young boxer, who is just starting to make his way as a professional. He was good amateur, but professional boxing is something completely different, and I am going to show him that. Flodin, the 22 year-old from Jonkoping, has impressed since joining the professional ranks, recording four unanimous points wins, his latest against Nikoloz Gvajava on June 2 at the Swiss Life Hall in Hannover. The Swede can expect a significant step up at the Struer Energi Park, but says he believes this is Khattab’s ‘last chance’, and that his superior ring smarts will prove the difference in their eight-round middleweight clash. “It’s going to be a war,” says Flodin. “This is Khattab’s last chance as a professional, but for me it’s just a great opportunity to climb the ladder. “I have met and beat many Danes as an amateur, and it will be no different on January 19. I expect to be smarter than Khattab in the ring. I’ve watched him fight, I know he comes forward a lot, and that will suit my style perfectly. Promoter Nisse Sauerland says he is looking forward to this fascinating showdown between these two promising Scandinavian fighters. “We are pleased to present this spectacular Scandinavian showdown on January 19 in Struer, with much at stake for both boxers,” he says. Flodin versus Khattab is the latest addition to a stacked card in Struer. Local hero Dina Thorslund defends her WBO Female World Super Bantamweight title against Germany’s Alesia Graf, while former European Champion Dennis Ceylan rematches Jesus Sanchez for the EU Featherweight crown. Tickets are available via www.ticketmaster.dk or by calling (+45) 70 15 65 65.